While others may not think this is important data, I think that we have to take some time to look at this data and recognize the fact that most of our students and staff managed to alter their workflow to incorporate the new tools at their fingertips in a very short period of time. I think this is a credit to the work of our staff and the support provided by the adults and students who make up our BPS EdTech Team. It is exciting to see that we seem to be moving well into the adaptive uses in just one year. While it is important that we look for an even higher percentage in this area in year two, the focal point also must move to transforming uses and ensuring that we are supporting a learning environment in which these types of opportunities will be prevalent. We need to continue to learn from and with our students as we continue to seek to maximize the potential of our devices. While some people are quick to question the cost of an iPad and whether our money was well spent, I believe they are missing the point if they are only focusing on the technology. As we begin to look at the data from our students at BHS on their thoughts on year one as a 1:1 school, I thought it would be interesting to look at how teachers and students from other schools who also just completed a year of 1:1 felt about the impact made by putting a web-enabled device in the hands of each student. Student Engagement – Student engagement increased 140% in word processing and writing, creating presentations, and video production. 52% of teachers now feel that the majority of their students are highly engaged as opposed to only 37% pre-initiative. Problem Solving – Students who say they can “figure out just about anything on their own” increased from 38% to 51%, a 134% increase. The number of students who say they have participated in ten or more technology projects that required them to solve a problem, gather information, or draw a conclusion, has nearly doubled, from 23% to 42%. Creativity – Teachers now say that 46% of their students are experts or peer coaches in creating a new idea or original project using technology, a value that almost quadrupled the pre-initiative’s mere 12%. Students becoming Tech “Experts” – The majority of students say they are experts at digital media, word processing, making presentations, safely and responsibly using the internet, solving problems using technology, and researching a topic on the Internet. At the beginning of the initiative, almost 50% of students said they didn’t know how to do these things. While the questions on our student survey at the end of the year may have been a bit different, I think there are equally positive data points. We will look at these tomorrow! During the course of the year, we talked to students and staff and asked them to share some of their thoughts on the iPad initiative at BHS. 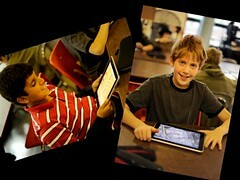 Here is a glimpse of what some staff and students say about the iPad initiative thus far. One of the big questions that is asked about our iPad initiative at BHS is – What are the goals of the initiative and how do you know if it is successful or not? My response to this question is not meant to be evasive, but I do think if this question is being asked too much that we did not do a good job communicating up front about this initiative. The biggest point we want to reiterate is that technology by itself will not have a significant impact in our schools. I mentioned this last week in a post referring to Jim Collins’ book Good to Great. We continue to focus on higher levels of student engagement as a primary target in all classrooms and our work in this area will continue. We believe strongly that students having access to a web-enabled device will allow us to increase the qualities of an engaged classroom as described by Phil Schlechty (below). It is important to note that this is work that started well beyond the distribution of iPads. However, we feel that the access that is no provided opens up a number of additional access points to these engaging qualities. I remember not to long ago when the integration of technological resources into a lesson plan required a great deal of planning and support (at least for me). 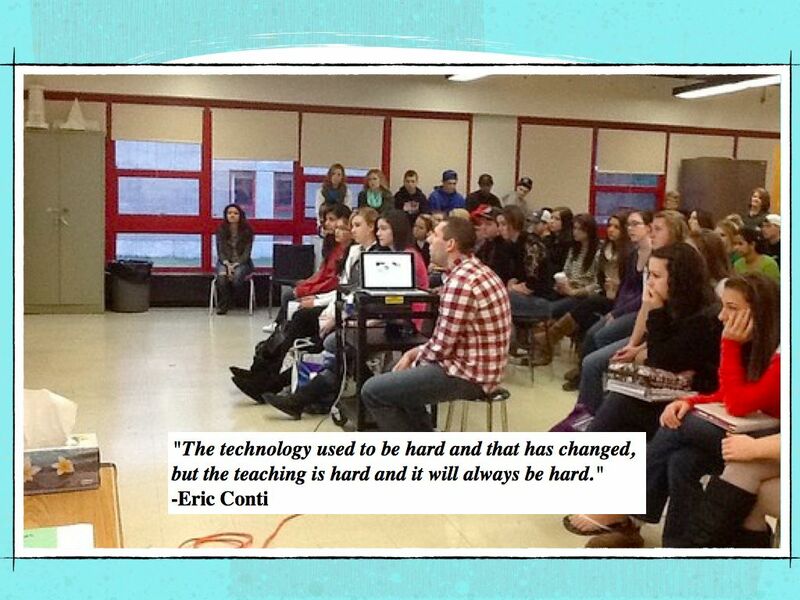 So as I struggle to see why technology is not being integrated into our schools and classrooms as quickly as it could be, I am reminded of the words of our Superintendent of Schools (Dr. Conti). Keeping this in mind and the whole idea that searching for technological tools and resources has been compared to taking a sip of water from a fire house, we have what appears to be a difficult task in front of us. How do we best conquer this two step process of showing teachers how easy these tools are to use and then help them to navigate the seemingly endless number of resources available? It makes me think that the fact that we have so many options makes the technology hard again, albeit in a different way than in the past. A Great Way To Approach Technology – "Pause — Think — Crawl — Walk — Run." I have to admit that my perception of the situation was that we had a great deal of work to do in creating a more student-centered approach and coming to agreement on learning expectations. So, I was happy to put technology discussions on the back burner and have one less thing to worry about. Fast forward to Burlington in the present and I have a different view of Chapter 7 from Good to Great. The quotation from Collins about technology has become a “yeah, but…” for me. While I know that technology alone cannot change an organization, it is now clear to me that technology when deployed thoughtfully can bolster improvement efforts. It gets to the heart of what is intended in the quote from Sheryl Nussbaum Beach above. Technology alone is not going to move an organization or an individual from Good to Great. However, technology that is thoughtfully deployed can help us move a bit faster. Great schools and teachers will share that traits of the great companies that Collins described by “selecting and focusing solely upon the development of a few technologies that are fundamentally compatible with their established strengths and objectives.” They will not fall in love with the newest or shiniest toy that the vendors are peddling. I can’t help but wonder how many millions of dollars have been wasted on Interactive White Boards in schools that did not first consider how they would be used or if they fit well with the goals and objectives of teachers who received them. 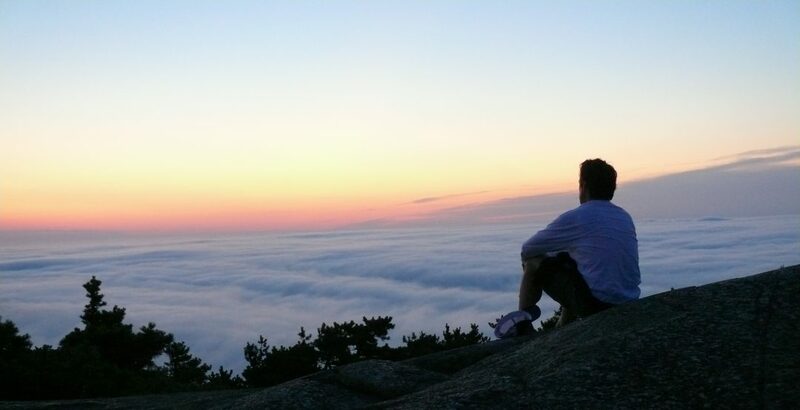 Pause – Don’t get caught up in the initial wow factor of a new resource. Think – How would this support current objectives and initiatives you are currently working on? Crawl – Have some teachers start to utilize the resource on a small scale and provide school-wide feedback to all staff. Also begin staff training on use of resource in the classroom. Walk – Get a whole department or cohort going with the resource and have them report out to the entire school community staff members on how the resource is impacting learning outcomes. Ramp up training. Ensure all staff have access to differentiated training. Run – Continue to ensure that there are frequent opportunities for learners (all school community members) to provide feedback on best practices. These opportunities should extend to other school communities doing similar work.